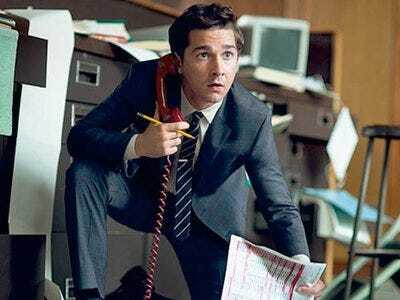 In a new interview with GQ Magazine, Wall Street: Money Never Sleeps star Shia LaBeouf talks about his 2009 car wreck that left him with a severely mangled left hand. Ouch. Sounds like a painful recovery for LaBeouf. We had no idea his actual fingers had been ripped off and replaced with hip bone. But now we understand why he’s always using his right hand in most of his photo shoots.